There is a new trend in Russian cinema: biopics about famous people from the past. Films about Gagarin, Vysotsky and Kharlamov are not only educational, but ideological too. There is a new trend in Russian cinema: biopics about famous people from the past. The most striking examples are two films about cult heroes of the 1970s—the singer Vladimir Vysotsky (“Vysotsky: Thank You for Being Alive,” 2011) and the hockey player Valeri Kharlamov (“Legend No. 17,” 2013). The biopic “Yuri Gagarin: First in Space,” about the first cosmonaut to circle the Earth, was also released in 2013. Work is now under way on films about goalkeeper Lev Yashin and the outstanding Russian wrestler Ivan Poddubny. Ideological rather than commercial interests are what lie behind this fashion. The fact that almost all modern Russian films are made with financial help from the state (from 10 percent up to 100 percent of the budget) means that the authorities have levers of influence on producers and directors. Filmmakers have been told to create a home-grown version of Hollywood. Expectations peaked with Nikita Mikhalkov’s two-part “Burnt by the Sun 2” (2010, 2011), but the film was a box-office flop, receiving very negative reviews on its long-winded writing and the unrealistic events in the film. The search for stories that would excite both the generations of formerly Soviet people and those who had grown up in a democratic Russia forced them to return to the subject of war. Films about wars—from the Russo-Turkish War to World War II—became a trend in the new patriotic cinema of the 2000s. Hundreds of films and TV shows were made on this subject, but the majority of them had no box-office or critical success. It gradually became clear that the audience was tired of such films. According to the Movie Research Company, the first half of 2011 saw a 29 percent slump in viewers’ interest in Russian films—from 521,600 to 369,300 viewers, on the basis of the number of viewers for one film—in comparison with the figures for the same period of the previous year. 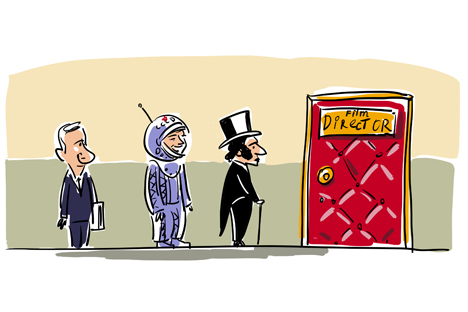 Art of Cinema magazine forecasts that, in 2014, Russian films will receive only 10 percent of the total money made from films. Not one war film broke even on Russian showings (except for “The Brest Fortress,” 2011). The mass audience is no longer excited by war. Today, following the unexpected success of “Legend No. 17,” many see biopics of prominent people as their salvation and the goldmine that will finally make mass Russian cinema popular again. The first effort in this genre was “Admiral”(2008)—a film about Adm. Kolchak, who led the anti-Bolshevik resistance during the civil war in Russia. The next success was a film about the singer Vladimir Vysotsky, who had a very great following in Russia. The success of these films injected new life into the situation. The film about Valeri Kharlamov was not so much a biopic as a film about the confrontation between two systems—the United States and the Soviet Union. The hero himself was just a cog in the machine of the Cold War. The recent biopic of Yuri Gagarin, the first cosmonaut, only came out half a century after his flight. The film was not successful at the box office, partly because of the lack of powerful television advertising, and partly because of the film’s artistic weakness. The film presents Gagarin almost as an icon, without any human weaknesses. Vladimir Putin recently lent his personal support to the idea of making a film about the outstanding Soviet goalkeeper Lev Yashin. The film about Yashin has been commissioned by the management of the VTB Arena Park project, with backing from VTB bank. Shooting will begin in 2014, and the film’s release is planned for 2017. Andrei Peregudov, VTB senior vice-president and head of the VTB Arena Park project, has already described how he wants the film to look: “Of all the films I’ve seen recently, the most impressive was the one about Gagarin. I want the film about Yashin to have just as strong an emotional impact as that.” According to Peregudov, after lengthy negotiations, the goalkeeper’s widow, Valentina Yashina, has agreed to be involved in the work on the film and act as a consultant on it. There is nothing bad or wrong about the biopic genre itself. Hundreds of these films are made in the West, about basketball players, musicians, writers and artists—about all kinds of striking figures. After watching a Western biopic, you come out understanding how much a person can do, how important it is to be free and to believe in yourself. Russian biopics, meanwhile, have a different moral: If you want to be famous and respected, you have to collaborate with the state. Andrey Arkhangelsky is a film critic.